The benefits derived from small business incubators are well known. They stimulate innovation and resilience in the local economy, create jobs and generate street activity contributing to the unique character of a neighbourhood. Dave Cook, a successful local culinary entrepreneur, is recognized as a key catalyst in the revitalization of Old East Village (OEV). He's the force behind successful social enterprises including Fire Roasted Coffee and the Western Fair Farmers and Artisans Market and most recently the London Food Incubator. 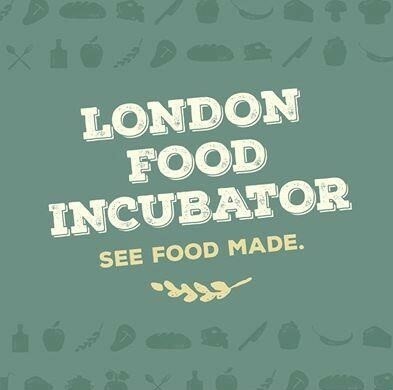 In November 2016, The London Food Incubator opened its doors with tenants Heather Pirsky's Naturally Vegan, David Glen's Glen Farms Herbs and Preserves, Kim Banma's gluten-free Urban Oven bakery, Dave Cook's Fire Roasted Coffee and more recently Meals on Wheels - The Village Table social enterprise , Willie's Cafe and Catering and Momos. The Old East Village Grocer, an anchor tenant, is a social enterprise wholly owned and operated by ATN Access for Persons with Disabilities, Inc., and is a training centre for clients with significant workplace barriers to gain employment skills in a real-life job setting. Once considered a "food desert" OEV is now a popular food district and home to some of the hottest restaurants, specialty shops and micro breweries in London. This "food hub" is becoming a popular spot for pop-up concerts and meet-ups with friends. The London Food Incubator provides affordable, supportive shared space for food production and distribution along with retail space in an attractive "food hub" setting. This enables startups to expand their production with less financial risk and increase their exposure to a broad, loyal customer base in affordable retail space - key to their future growth and success. At the same time, it is serving the needs of the neighbourhood by creating a welcoming community meeting place where residents and visitors alike can gather with friends over coffee, do their food shopping, and maybe even catch a pop-up concert. It's also home to Canada's only social enterprise grocery store and unique training centre. By participating in the Earmark Initiative, you can make a substantial financial donation to the London Food Incubator or the Old East Village Grocer (OEVG) at no cost to you. How? With every home purchase or sale, 20% of your REALTOR®'s commission is earmarked for donation to the "change maker" of your choice.